The explosive finale to the Legend trilogy. June is, once again, working with the Elector Primo and the Republic while Day has been assigned a high level military position within their ranks. When a plague breaks out in the Colonies, war threatens the Republic and it is up to Day and June to help the Republic and protect the ones they love. 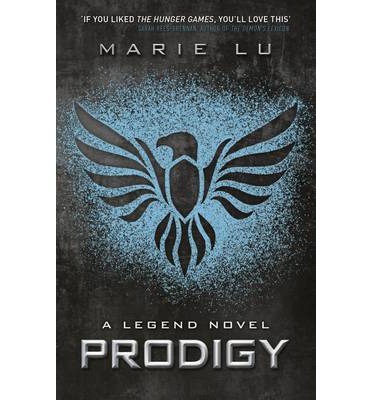 You would think that the plot would be starting to wear thin; that Lu has exhausted the twists and turns but Champion one-ups Prodigy and offers an exciting conclusion to the series (that has divided readers), with enough action and twists to keep you reading to the end. The dual narrative style continues with Day and June reprising their roles as narrators. I enjoy the contrast of styles but I still feel more strongly about June’s voice. She’s more consistent where Day’s character still relies heavily on stock terms like “goddy” to reinforce his character when instead, they undercut it. From the first book, I was fascinated by Commander Jameson. I love her ruthless streak; how she is willing to do whatever it takes to get what she wants. The relationship between Day and June is an interesting one, given Day’s terminal illness. June continues to be a strong character that demonstrates universal appeal. Day is a Legend. June is a Prodigy. What more is there to say? Strangely enough, it’s Lu’s world-building technique that draws me in. She revisions our world, book by book, starting with the Republic in Legend, zooming out so we get an idea of the Colonies and the former-USA in Prodigy and finally, we get an insight into the rest of her world in Champion; a world where Africa and Antarctica are superpowers. 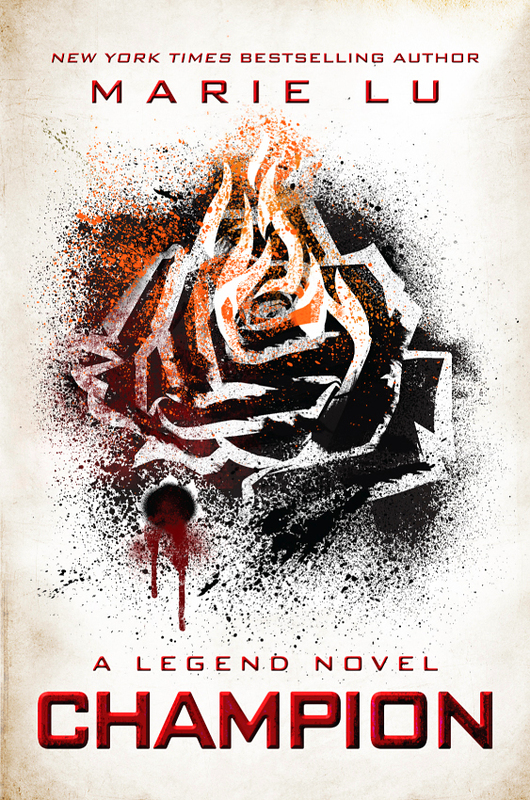 Out of all the dystopian trilogies I’ve read, I enjoyed Lu’s Champion the most. Her story is tight. (If you’ve read Veronica Roth’s Allegiant, you’ll know how things can very quickly take a turn for the worst), her characters are exciting so that we want to invest our time in them (unlike those in Ally Condie’s Reached) and her world-building is first-rate. She doesn’t have to show you every little detail about her world because we understand enough and it creates intrigue and wonder.